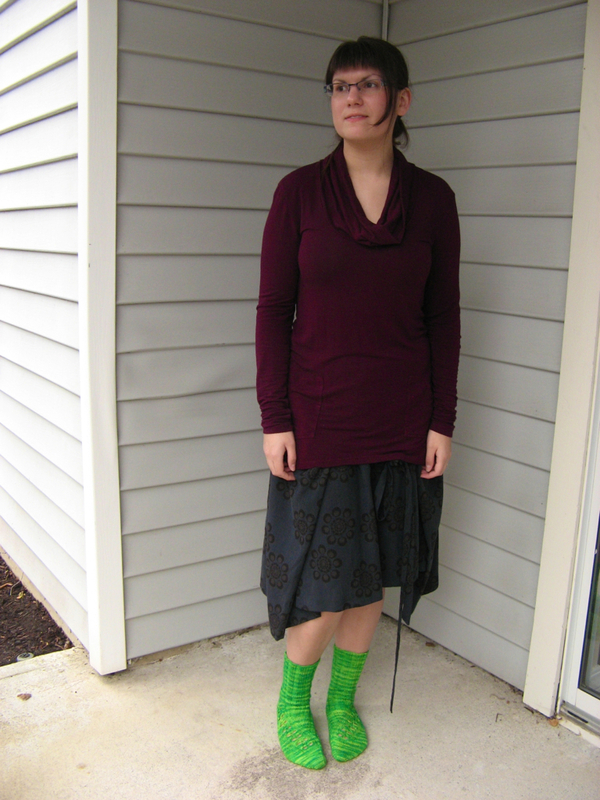 As long as you ignore the bright green socks, this is what I wore yesterday. Lately I've found myself in a different mood in terms of clothing. I definitely like little fitted sweaters and high-waisted pants, but I'm finding myself swinging in the opposite direction too: long, flowy, layered, more neutral/subdued in color, and sometimes no waist definition to speak of. I've been moving in that direction for a while, but it wasn't really until the winter that I found myself reaching for this style of clothing more and more. The Dries van Noten tied skirt was one purchase where I wasn't completely sure how it would integrate into my wardrobe. I got it from a vintage boutique for $120, probably a small fraction of what it would have cost, and six months later, I'm more than sold. I wear this skirt all the time. It's easy and strange and I love how the ties float around down by my feet when I walk. It goes with everything and nothing simultaneously. Kind of like how it doesn't go with this tunic top (with pockets! and slits at the cuff to wear them as mini-handwarmers!) and yet it works. The proportions aren't right and the colors don't really work together and I loved wearing it all day.